After a successful mobile payment pilot program in San Francisco, we are pleased to announce that the pay with OpenTable feature is expanding nationally. In addition to the New York City launch, mobile payments will be introduced in 18 additional cities before the year’s end. We also plan to further expand the presence of payments in San Francisco. 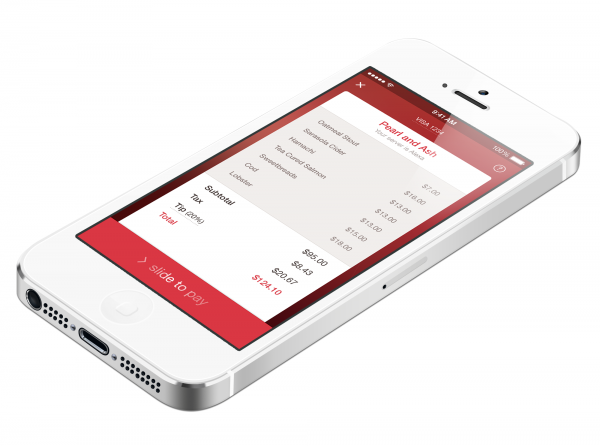 To pay with OpenTable, make sure you are using the latest version of the OpenTable iPhone app. Diners who book a participating restaurant can add a credit card, which enables them to view and pay their check at participating restaurants with a few taps. It’s that easy; there’s no separate app to download, no table number to enter, and no scanning or barcodes involved. Diners who settle their check via the OpenTable app can simply get up and go whenever they’re ready! For additional information about mobile payments and view the current list of participating restaurants, visit //pay.opentable.com/. If you have a restaurant and are interested in providing your guests with our mobile payments experience, you can learn more at //pay.opentable.com/restaurants. 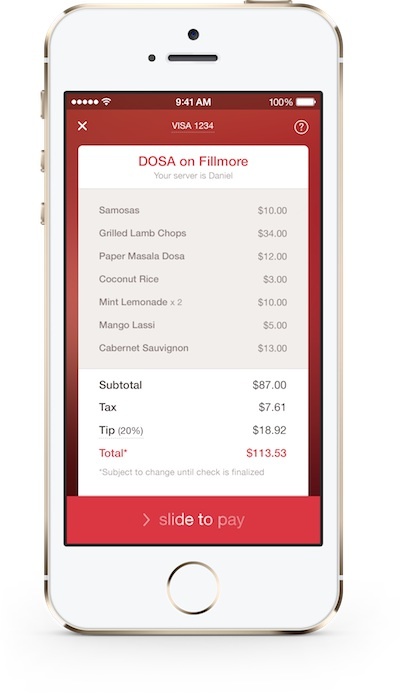 With the latest update to the OpenTable iPhone app, diners can now use OpenTable mobile payments to settle their check at restaurants participating in our San Francisco-area pilot program. To get started, make sure you are using the latest app version 6.2.1. Then make a reservation at a participating restaurant via the app, and follow the prompts to set up a credit or debit card. Please note that OpenTable mobile payments are currently available only to those users with an iPhone running iOS 7. To learn more about paying with OpenTable or to see the participating restaurants, visit pay.opentable.com. First, OpenTable made it simple to book a restaurant reservation at any time of day or night with just a few clicks. Now, we’re pleased to announce that it will soon be just as easy to pay for your meal. Rather than waiting for a check or, worse yet, being late for the theater, with the new OpenTable payments feature, you will be able to tap to pay – and be on your way. If you’re participating in the pilot program, you will receive an email requesting feedback about the app and your experiences with it. For those of you who are particularly passionate about the app, the experience, or mobile technology in general, we’ll also be offering the option to join us for in-person Q+A discussions at our headquarters in San Francisco. We thank you for your participation as we bring our payments feature one step closer to a broader launch. Your honesty and insights are not just vital to its refinement – they are greatly appreciated. Find dishes anywhere in the world by tapping the green bar and setting your location. You can enter a city or address, or pan and zoom the map. Scroll left and right to discover delicious dishes. If a dish piques your interest, simply scroll down to learn how to get your hands on it. Toggle between discovering nearby dishes and discovering dishes from friends with one tap (upper left), and Foodspotting will remember which you last used. Read more about the new Foodspotting app here, and download Foodspotting for iOS 7 today.